Beneteau 393 clipper- Alkyoni !!! 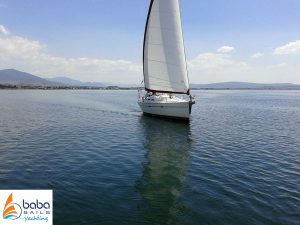 Alkyoni is a sailing boat in excellent condition. 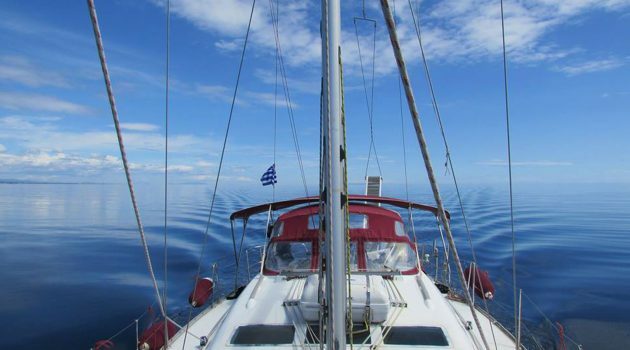 The basic reason for this is because is always on sails with its own captain. Beneteau 393 clipper – Alkyoni is a sailing boat very pleasant, clean and bright. It has 3 spacy cabins, the front one special comfortable and unique. It also has 2 WC and 3 showers, 2 internals and 1 external. The kitchen and the living room are veryspacious and are equipped with all necessary equipment in order to cook, to drink your coffee or to enjoy your cocktail. 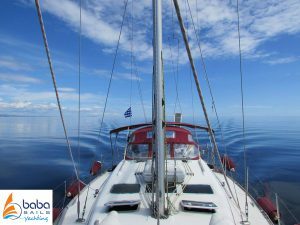 There is also a very good sound system and captain is a music lover and always up to date, so you can enjoy a trip with a pleasant music. Οf course Alkyoni is equipped with all necessarysailing equipment and all safety means that are provided for by the law. 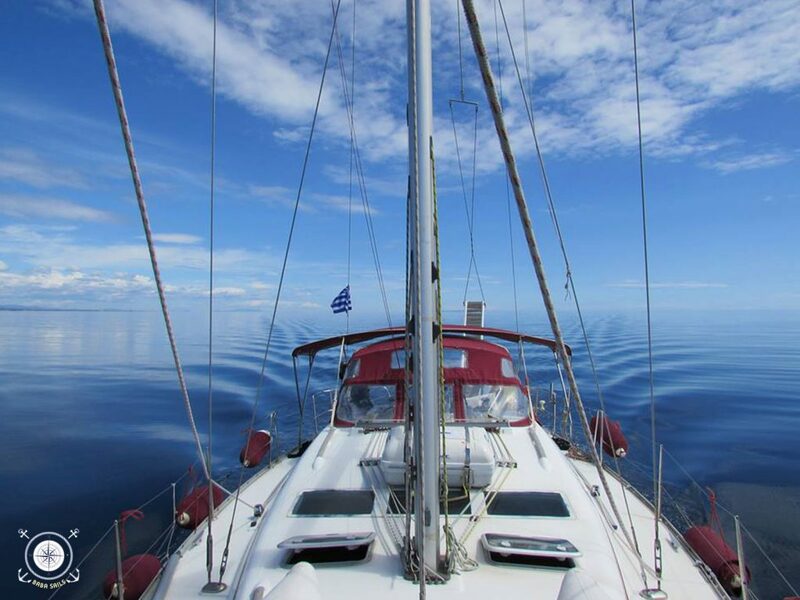 Alkyoni also has a 3.8kw generator, so you can have 220 volt electric power even to most isolated Aegean islands!!! In addition it has a small tender with a Tohatsu 3.5 hp machine engine, so someone can move when the boat is located in the sea away from the coast. 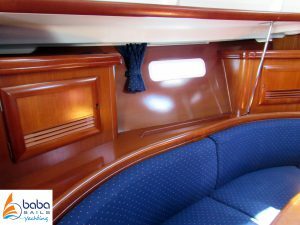 Beneteau 393 clipper – Alkyoni also has bimini& sprayhood for better protection from sum, rain and waves, and also an extendible external table that changes size depending of the usage. 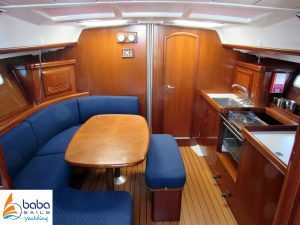 In general, Beneteau 393 clipper – Alkyoni is a sailing boat that is seaworthy, pleasant and is equipped with all necessary means that can make your trip unique and unforgettable. A sailing trip with Alkyoni and its captain, with his experience and his personality, will make your journey a memory you will never forget!! !